Nepal Everest base camp trekking company is specialists of the Everest region trekking trips. Everest region activities are covered in the large area of Nepal. We will want to describe most of the famous trekking route and activities in Everest region. I am sure that you hear about Mount Everest but I want to describe to some of the main features of Mount Everest region. Everest region holds in Sagarmatha national park. Nepali name of Mount Everest is called Sagarmatha. And Zhomologma Called in the Tibetian Language. There will be some other name also called in local people. (Sherpa People). There will be controlled by Sagarmatha national park. This is listed on the UNESCO world heritage site. There are more than 8 mountains over 7000 meter high. Everest region takes a most adventurous trip for people who love the top of the world. If you thought about mount Everest there will be available different type of activities in Everest region. Nepal Everest Base Camp Trekking company presents a different type of activities for their client. We will focus on client requirement and choice for their travel package. There will be top 10 activities in Everest region which are described in short description. There will be two types of activities in the Everest region. this is categorized by difficulty, adventure type and risk of activities. Everest base camp helicopter tour is one of the most popular and newly opened activities in Nepal. Which you can take a most adventurous trip to Everest base camp. 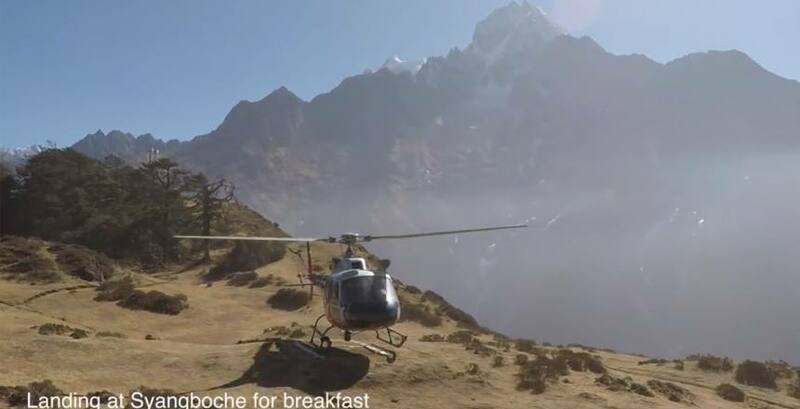 Everest base camp helicopter tour is high altitude activities where you will reach a 5545 m high altitude of Everest base camp(Kala Patthar) and 3780m high in Everest view hotel syangboche. Everest base camp helicopter tour takes a maximum of 6 people in one Helicopter. There will be available for Private trip and Sharing helicopter tour to Everest base camp. Private Everest base camp Helicopter tour is a little bit expensive. If you have 4-6 friend / Family group this is best for you. If you single and you will want to take a helicopter tour to Everest base camp. In this time also available for joining group Everest base camp helicopter for you. During the season we have a daily departure to Everest base camp helicopter tour for our client. Everest view trek is a short trek of Everest region. in this trek, you will take an easy way to get your little experience of Mount Everest. 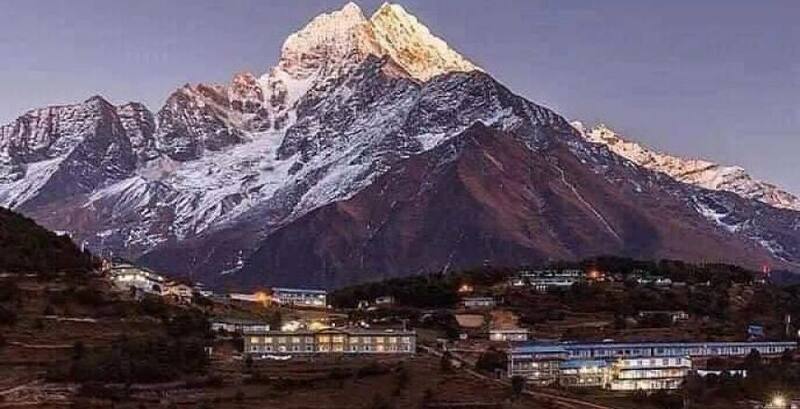 Everest View Trek will be started by taking a short Scenic flight to Lukla airport (Tenzing Hillary Airport) Through A beautiful green valley and Rhododendron Alpine forest of Sagarmatha National Park. There will start your trekking from Lukla. this is a total 7 days trek from Capital city Kathmandu. There will take trekking to syangboche (Everest View Hotel) and trek back to Lukla and then finished your trip of Everest view trek. Everest scenic flight is a flight towards Mount Everest and other high mountains to Everest region. Everest scenic flight is a daily departure from the Tribhuvan international airport domestic terminal. This is 1 hr Scenic flight from Kathmandu. Everest Scenic flight had been fixed route and plane take the same route to explore the adventure of this trip. Trip started from Kathmandu through Jiri village entered to the Everest region. This flight until the Everest and of Everest region so it gives a nonstop new and most adventurous trip to your life. Then flight back to Kathmandu airport and then finished your trip to Everest Scenic flight. Everest region is famous for trekking Experience. We would provide quality trekking service to tour client to the Everest region. We have 20 years experience in the Travel and Tourism Sector. If you have any confusion just take one question with us and we will fully try to take your exact result to you. To Get Everest trekking there is a different way. 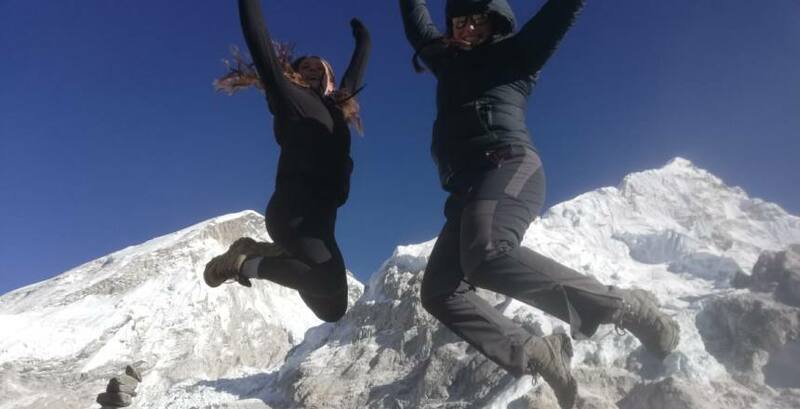 The main way of Everest Region trekking will be start with A short and adventurous flight to Lukla and then start your walking trek to Mount. Everest. Everest base camp trek is the most famous trek in the world. Everest base camp trek normally with a scenic flight to Lukla and then start your trekking. Lukla is the main gate of an adventurous tour to Everest region. 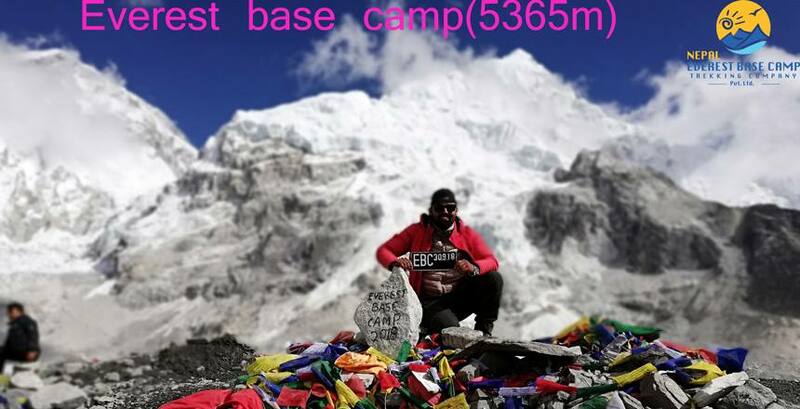 Everest region gets the highest point of Everest region and new trips and experience of Everest region. To reach Everest base camp to trekking there are many ways but the main gate of Everest base camp will be stated from Lukla. This trek will be a total 14 days trek from Kathmandu. For more details about Everest base camp trek and other related treks in Nepal click here. 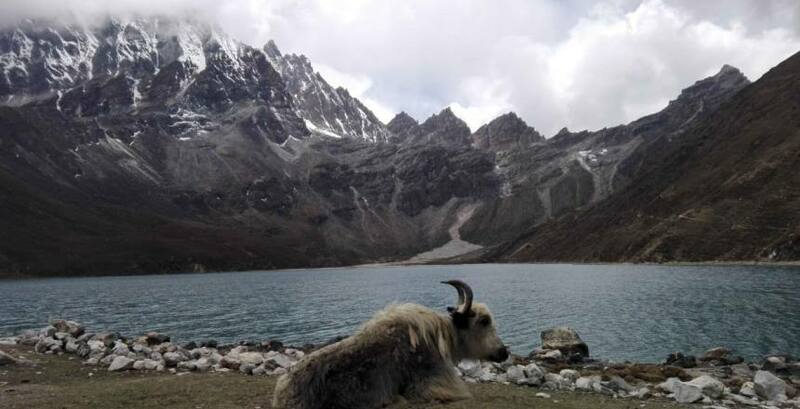 EBC Chola pass Gokyo lake Trek is one of the high pass treks to Everest region. Most of the trekkers choose this route for Everest region trekking activities. There is the main 2 best viewpoint to analysis Mount Everest. Everest base camp Chola pass Gokyo trek passes through one of the high pass in everest region which called Chola Pass(5420m). it not only covered Everest base camp. It covered Chola Pass, Gokyo Lake, Gokyo Ri and other new valleys of Khumbu region. everest region most of the easy pass which is passing on this trip. I think this is a most recommended trekking trails of Nepal. Who love high pass in the Himalayas. iii) Everest kongma la pass trek. Another best trekking of the Mount Everest is Khongma la pass trek. It’s most difficult passes in the Everest region. it passes through high hill and rock way during the trek. This is less visited trekking trails to Everest region. it is also called challenging trekking route of Nepal. It passes through high altitude and steps up passes narrow path on the trek. We will have many more experience on this trekking and every year we will manage the group for this trip. We have a special Everest Kongmala pass trek for visitors. Everest base camp trek is a one of the Khumbu region trekking without Everest base camp. If you want to visit beautiful Gokyo lake and the high mountain including Mount Everest and neighbourous mountain of Everest( Amadablam, Pupori and Many more.) from the best viewpoint Gokyo ri. You can observe the close view of Mount Everest, Pumori, Amadablam, Cho Oyu, and many more mountain of Everest region. Everest Three pass trek route takes all of the Everest experience during the trek. You can explore the glorious view of High Mountain of Nepal. Which is listed or the high mountain list of the world. It is called outstanding and highest mountain viewing trek. It is high passes trek of Everest region. Kongmala pass, Chola pass, Renjola pass is a passes through this trek. This is the longest trekking trail of Everest region. 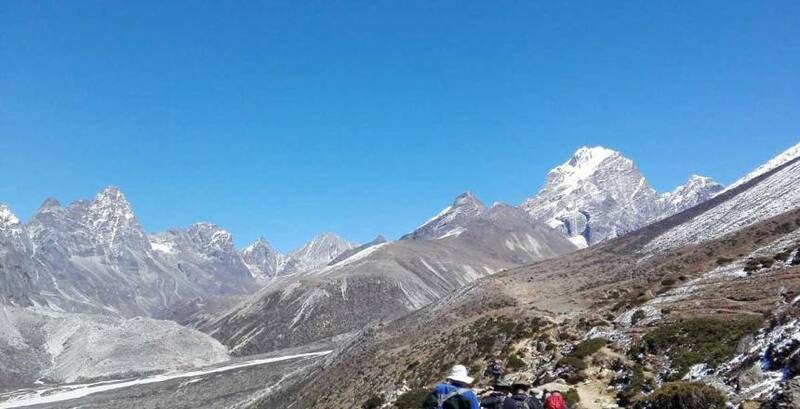 It is not only limited on Everest three pass it touches through Everest base camp, Gokyo lake, Gokyo Ri, Tengboche monasteries and many more place all through the trek. Phaplu to Everest base camp trek is one of the alternative trekking routes of Everest base camp trek. There is two different option to reach Phaplu. Kathmandu to phaplu will be Provided daily jeep/bus service. There is a Flight to Phaplu from the capital city of Nepal(Kathmandu). the benefit of Phaplu Everest base camp trek is green view with scenery riverside. Few of the tourist will take this trail to get Everest base camp. This trek starts from low altitude and more days trekking then other trekking of Everest region. this trekking trail is best for your health and physical fitness and acclimatization your body with high altitude. If you will take this route to get Everest base camp, there will be a decreased risk of high altitude sickness. vii) Other Everest region Trekking trail. Jiri Everest base camp trek. Why Everest Base Camp Helicopter Tour?